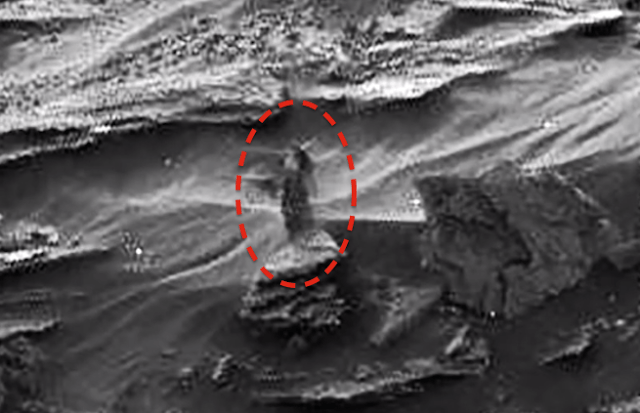 Home » Alien Woman On Mars Watching Rover From Hill?? This was discovered by UFOovni2012 of Youtube and I have to admit, it looks like a woman partly cloaked. The woman seems to have breasts…indicated by the shadow on its chest. We also see two arms that are lighter in color and what looks like a head with long hair. It’s hard to tell if this is a living being, or a statue of a being from long ago. However, a statue that small would be eroded and destroyed easily, so it has a higher chance of being a living being. 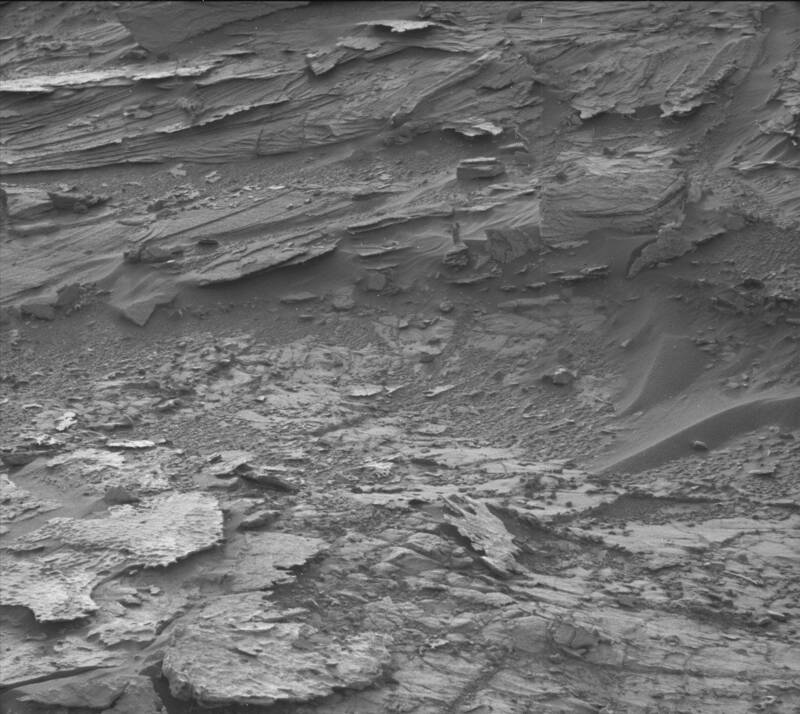 Also it is facing the Mars rover…watching it from a distance. This being is about 8-10 cm tall. Yes, one such species is known to exist that small. Remember the Apollo 20 mission, not the fake TV show, but the real mission? Well William Rutledge (astronaut) said inside the cigar ship in Deporte Crater (moon) he saw glass tubes on the walls with tiny human-like skeletons in them about 4-6 cm long. This looks real. And it should concern every country in the world. There is life out there. Check out more photos at his UFO site (click here).